Suzanne MacDonald is Fusion Hair Designs manager/stylist. She was on the opening team at Fusion as a stylist however; her love of all aspects of the salon industry guided her towards management. She enjoys working with the stylists to help them reach there full potential. Her outgoing personality, attention to detail and costumer service are an asset to our team and our clients. She was trained at a Redken School and has been in the Salon industry since 1995. 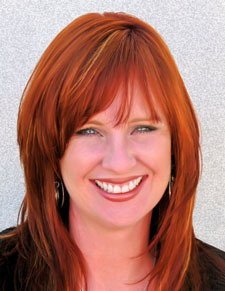 Suzanne moved to the Orlando/Winter Park area in 1999, and has been with Fusion Hair Design since its opening in 2002. Her love of hair color and highlighting has brought her to the Redken Exchange , the Redken Symposium, and many more classes to keep up to date.